The US military has reopened a criminal investigation into some of the most serious accusations of war crimes against US forces in Afghanistan since 2001. As The New York Times reported last week, the Army’s Criminal Investigation Command will again investigate allegations that a Special Forces team was involved in the murders of at least 17 civilians in Afghanistan in 2012 and 2013. The question now is why the investigation has dragged on for so long—and whether there has at any point been a coverup by members of the military. Even amidst a war that has been marked by repeated human rights abuses committed by US and Afghan soldiers (and, to an even greater extent, by the Taliban), the Nerkh killings stand out. Unlike cases of deranged soldiers’ acting without their superiors’ knowledge or consent—such as the Panjwai massacre in 2012, where SSgt. Robert Bales massacred 16 civilians in one night in their homes, or the Arghandab “kill team,” where a small group of soldiers murdered unarmed Afghans and cut off their body parts as trophies in 2010—the crimes in Nerkh were allegedly committed by an elite military unit in the course of its campaign against local insurgents. Moreover, the incidents were repeatedly investigated by the US military command in Afghanistan, which exonerated the team, until findings by the United Nations and International Committee of the Red Cross pushed it to belatedly request a criminal inquiry in July 2013. "The murders of Afghan civilians in Nerkh were allegedly committed by an elite US military unit." As I revealed in my 2013 investigation of the killings for Rolling Stone, the unit in question is Operational Detachment Alpha 3124, a unit of the Army’s 3rd Special Forces Group, which was deployed to Nerkh District of Wardak Province between the fall of 2012 and March 2013. ODA 3124 was eventually forced out by President Hamid Karzai in response to repeated demonstrations by locals, who claimed that the Special Forces team had murdered, tortured, and disappeared local residents. After the team left the area, locals discovered human remains buried outside the base, which they said belonged to 10 missing men who had been arrested by the Americans. Not long afterward, a video surfaced of one of ODA 3124’s Afghan interpreters beating Sayid Mohammad, one of the disappeared ten. The interpreter, named Zikria, was later arrested in May 2013, by Afghanistan’s intelligence service. To date, the only public statement he’s given was when I visited him in September 2013 in Kabul’s notorious Pul-e-Charki prison. 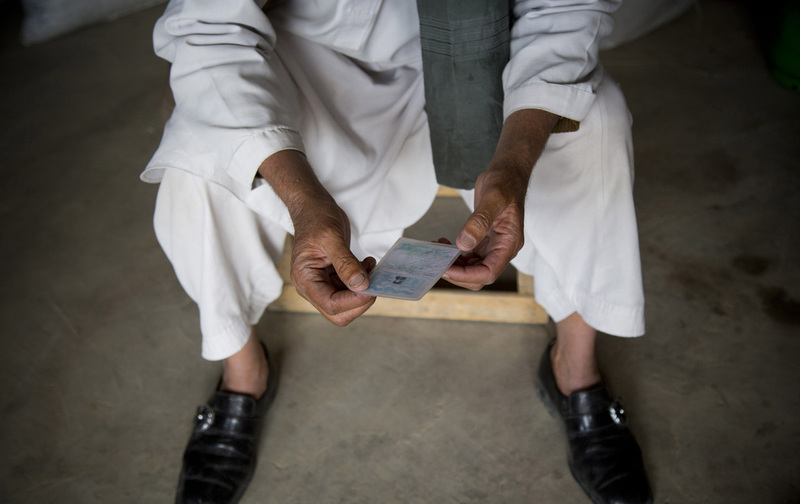 Though he was known under his nom de guerre, Zikria Kandahari, he told me his real name was Zikria Noorzai, which he had tattooed on his arm in green ink. From the start, Zikria’s relationship to the US military has been a matter of contention and speculation. For example, the Times has repeated claims by Afghan officials that Zikria was an American citizen, that he and the other interpreters had used the cover of a mine-clearing charity, and that a CIA paramilitary unit was involved. 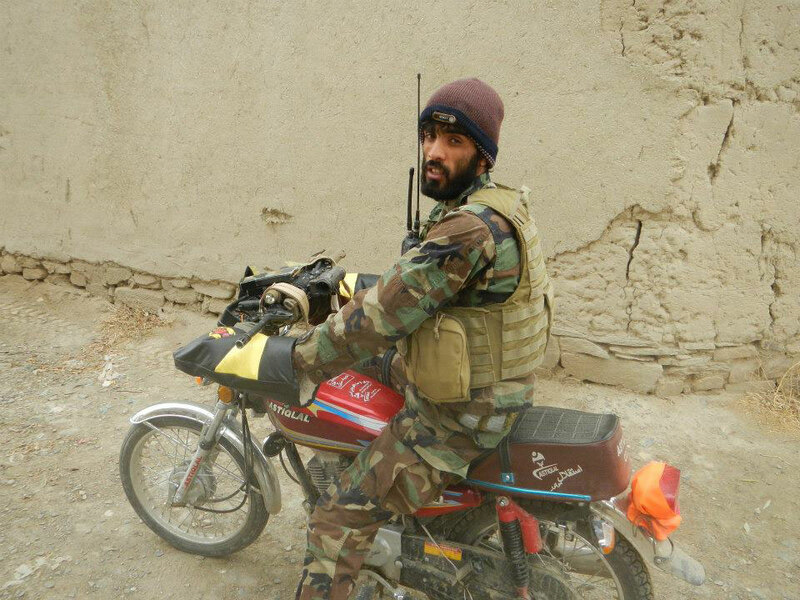 Zikria Noorzai, seen in this undated photo, said he has worked as an interpreter for the US Special Forces since 2003. In fact, Zikria and two other interpreters who worked for ODA 3124 in Nerkh told me that they had been hired and paid directly by the Special Forces team. (A US military spokesperson told me that he was an “unpaid interpreter” who was not on contract at the time of the incidents.) All of them had served multiple times with the Special Forces, and Zikria said it was his third stint with ODA 3124, whose team sergeant knew him from previous deployments and had requested him this time. He also denied being a US citizen. In our interview and in his statements to Afghan investigators, Zikria had refused responsibility for the killings, and instead blamed specific members of the Special Forces. He did admit to beating Sayid Mohammad. “A few days before my friend had been hurt by an IED so I got emotional, I started punching and kicking him,” he told me. “I brought him back to the base in my truck and the ODA said okay, you’re done.” He said he handed over Mohammad to the Green Berets, and that he later saw his corpse in a body bag. Regardless of Zikria’s culpability in the incidents—and multiple people told me they saw him torture and kill residents of Nerkh—he remains the only person who has been convicted in connection with the deaths and forced disappearances in Nerkh. Moreover, his case appears to have been handled by Afghan authorities in a way intended to deflect further investigation. According to both him and his lawyer, Zikria was convicted of treason—an ironic charge, given that he was working for the US Army—and was sentenced to 20 years in prison, a conviction that was upheld by Afghanistan’s Supreme Court in August 2014. According to a family member, Zikria was moved in recent months to the Parwan Detention Facility at Bagram Air Field, which was transferred fully to Afghan control in December 2014.
Who, then, is responsible for the Nerkh killings? In my 2013 story, which unearthed new eyewitness testimony and photographic evidence, I reviewed the allegations in detail, and drew the following conclusions. For nine out of 10 of the disappeared men, there was overwhelming evidence from witnesses—in many cases, an entire village in broad daylight—that they were initially taken by the US military. A number of locals also claimed to have experienced torture in custody and witnessed summary executions by the Special Forces and their translators. They identified specific individuals they said were responsible from photo arrays that I constructed, which used pictures from ODA 3124 team members and interpreters’ public Facebook profiles, mixed with photos of random Special Forces soldiers and Afghans pulled from Google Images. Taken individually, the abuses they recount are so extreme as to be hard to believe, but in aggregate they form a consistent and credible pattern. This was also the conclusion of the UN and ICRC investigations into the killings, whose full findings were provided to the US military but never made public, though the UN summarized its findings in a July 2013 report. Similar allegations were also reported by Reuters and the Times. In several instances, the individuals attempted to report their allegations to the US military. While I was in Nerkh in 2013, I learned of a man named Qandi who had been arrested by the Special Forces and was still being held at the main detention center in Bagram. Qandi was eventually released on October 12, 2013, and spoke to me about his experiences in an interview last week. According to Afghan witnesses and officials, Sayed﻿Mohammad’s corpse was found in May 2013, buried outside a former US Special Forces base. Qandi said that he and other prisoners were treated by an Afghan woman who spoke English with the American soldiers and seemed to be working for them. One day, he was cleaned up, given a fresh change of clothes, and then transferred to Bagram by helicopter. There, he was assigned detainee number 5794. He said he was given proper medical care and not abused, and told both his US interrogators in Bagram and the ICRC that he had been tortured and had witnessed murders by the Special Forces in Nerkh. "They killed him in front of me by beating him; when he died the soldiers pushed me to the ground onto his blood." If allegations such as Qandi’s are true, how could a small unit like ODA 3124 have carried out such extensive crimes over an extended period without their superiors being aware, even as witnesses turned up in Bagram? According to the US military, allegations of wrongdoing by the Special Forces in Nerkh were first reported up the chain of command in November 2012. As pressure from the Afghan government mounted over the following four months, the US military conducted three separate investigations into the allegations, all of which exonerated its soldiers of any wrongdoing. During this period, at least five individuals were detained by US forces in Nerkh and then subsequently disappeared. The third investigation, carried out jointly with the Afghan government and completed in March 2013, was led by a senior officer, Brig. Gen. Michael L. Howard. I have since spoken to several US and Afghan officials who were familiar with the investigation and told me that Howard seemed more intent on clearing US soldiers than on getting to the bottom of the allegations. According to a senior Afghan officer at the Ministry of Defense who was privy to the investigation’s reports, the investigation team visited the Special Forces team in Nerkh, who flatly denied having any of the missing people in custody, or knowing anything about their fate—and the US military shifted blame onto Zikria, who had by then had fled the area, and would not be captured by Afghan intelligence for another two months. At the time of Brig. Gen. Howard’s investigation, Qandi was in custody at Bagram prison, where he said he told US military interrogators about the torture he had suffered and murders he had witnessed in Nerkh. And during that same period, Zikria was still in touch with members of ODA 3124, according to his own admission and publicly viewable Facebook messages. Yet, like the previous two investigations, Howard’s cleared the US military of any wrongdoing. “The inquiries found no reliable evidence to substantiate misconduct by ISAF or US forces relating to the detainees or reported deaths in Nerkh,” Col. Jane Crichton, a US military spokesperson, told me in October 2013. How could three US military investigations have failed to find the evidence that was unearthed not only by reporters such as myself but by the UN and ICRC? At best, it represents staggering incompetence. At worse, it raises the possibility that US military officials may have deliberately suppressed or ignored information that would have led to a more timely criminal investigation. In any case, on July 17, 2013, almost four months after ODA 3124 left Nerkh, the US commander in Afghanistan, General Joseph Dunford, notified the Army’s Criminal Investigation Command (CID) about new and “unresolved allegations” in the ICRC and UN reports, according to the military. This triggered a criminal investigation by the CID, one that would operate independently but whose findings would ultimately be forwarded to back to the military command for a decision about whether or not to prosecute. The criminal investigation got off to a seemingly slow start. None of the witnesses that I interviewed prior to publishing my story in November 2013 had ever been contacted by the US military. According to a former UN official directly familiar with the CID investigation, it wasn’t until late December 2013 that military investigators began interviewing witnesses from Nerkh, via video calls conducted at a UN compound. How could three US military investigations fail to find the evidence unearthed by reporters, the UN, and ICRC? The constant shuffle of investigations casts doubt on whether justice will ever be done in the Nerkh killings, and is consistent with the US military’s terrible track record of investigating allegations of war crimes against its own members in Afghanistan and Iraq. In August 2014, Amnesty International published a damning report on the US military justice system in Afghanistan. It investigated 10 cases where there was “credible evidence of unlawful killings of civilians” by international military operations—including the Nerkh incidents—that involved at least 140 civilian deaths, 50 of them children. None of the cases have led to prosecutions of US service members. In nine of them, none of the witnesses had been interviewed by military investigators. The report also brings up the military’s struggle to stem sexual assault in its ranks, which raises a striking point: If the military’s justice system has failed American servicewomen who have been sexually assaulted—as has been amply documented in the press and by Congress—then what hope do Afghans have when they are the victims of war crimes? Matthieu AikinsTwitterMatthieu Aikins is the Schell Fellow at The Nation Institute.